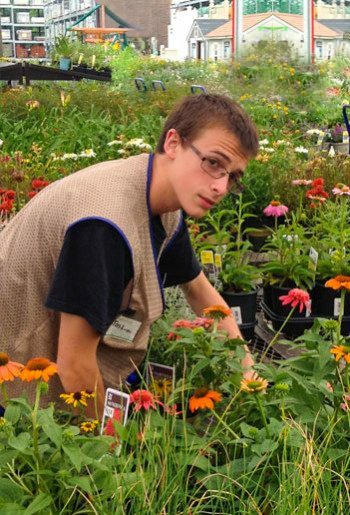 If you like plants and people, this is your kind of work. Plants. It's what we do. 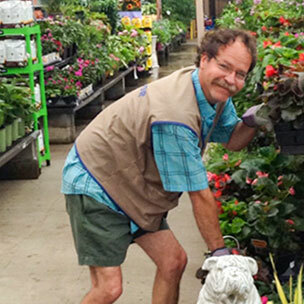 Plant Essentials Inc. is a recognized industry leader in merchandising live nursery-plants! 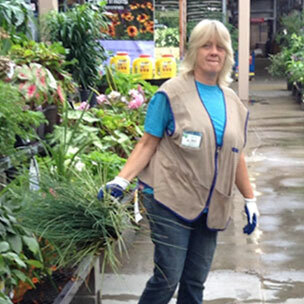 We service over 680 big box retail nursery departments in 26 US states and 4 Provinces in Canada. Our focus is on providing full service nursery service with workers trained in merchandising and plant care. We are flexible and creative, because each retailer has differing unique needs and different levels of live nursery engagement. Fitting into your way of doing business, we can supply a planogram (we call them “plantograms”) or work with one that is already in place, making sure plants are properly maintained and beautiful. We will create exciting cross-merchandising and new displays as the seasons bloom into one another. We’re focused on communication, accountability and excellent merchandising execution. For some clients we set up seasonal displays, handling all fixtures and merchandising, and removing displays after the holiday. Whether your live nursery retail season is year-round or just for a few weeks, we’ll do what needs to be done, with an emphasis on increasing sales and customer satisfaction rates. It’s what we do! Are you looking for unique and engaging work outdoors, enjoying plants and people? We have customizable schedules and hundreds of locations to suit you, the individual. We consider applicants for all positions with no prior experience–we will train you! And, of course, we won’t consider your race, color, gender, national origin, age, disability, marital or veteran Status, or any other legally protected status. Plant Essentials is an at-will equal opportunity employer and our employees matter.